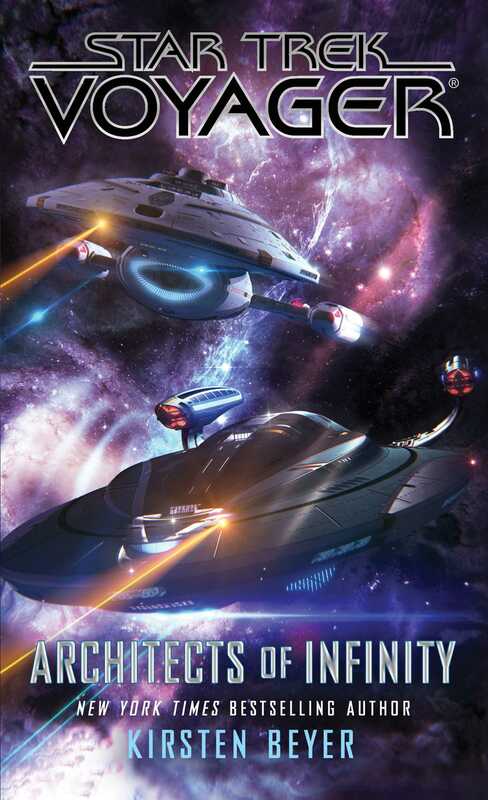 An original novel set in the universe of Star Trek: Voyager, from the New York Times bestselling author! As the Federation Starship Voyager continues to lead the Full Circle Fleet in its exploration of the Delta Quadrant, Admiral Kathryn Janeway remains concerned about the Krenim Imperium and its ability to rewrite time to suit its whims. At Captain Chakotay's suggestion, however, she orders the fleet to focus its attention on a unique planet in a binary system, where a new element has been discovered. Several biospheres exist on this otherwise uninhabitable world, each containing different atmospheres and features that argue other sentient beings once resided on the surface. Janeway hopes that digging into an old-fashioned scientific mystery will lift the crews' morale, but she soon realizes that the secrets buried on this world may be part of a much larger puzzle—one that points to the existence of a species whose power to reshape the galaxy might dwarf that of the Krenim. ™, ®, & © 2018 CBS Studios, Inc. STAR TREK and related marks and logos are trademarks of CBS Studios, Inc. All Rights Reserved.